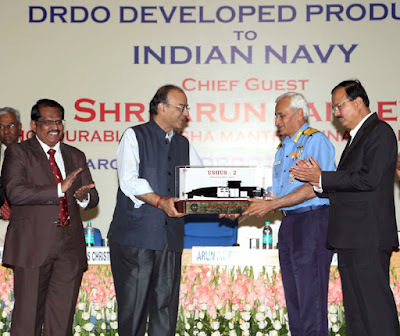 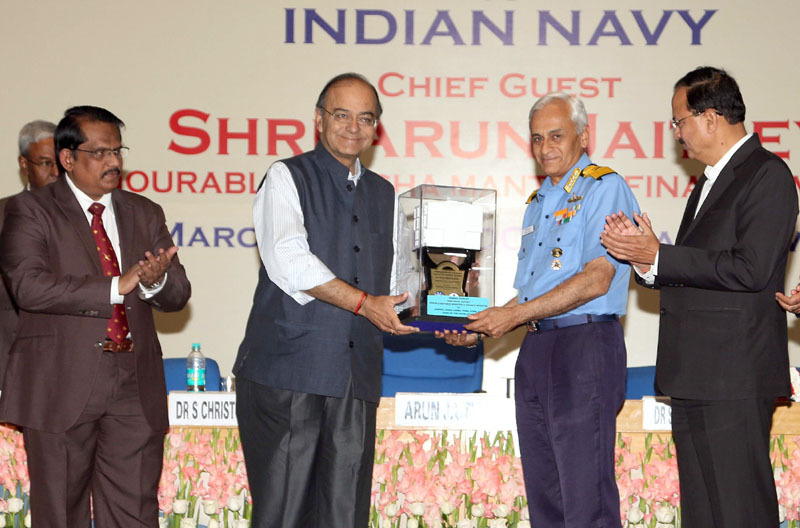 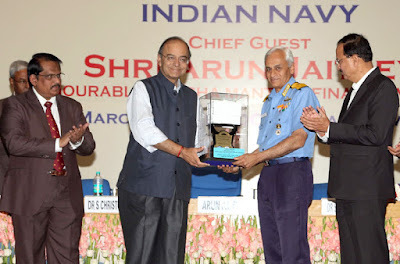 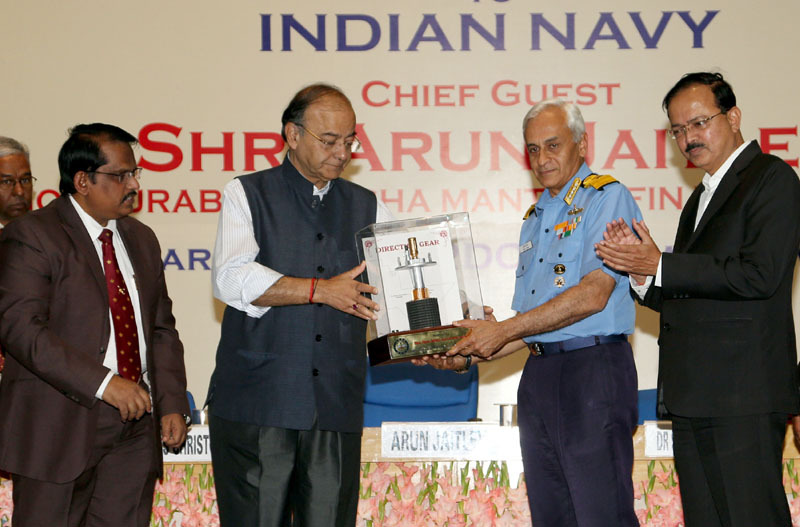 The Minister of Defence, Finance and Corporate Affairs Shri Arun Jaitley handed over three Naval Systems indigenously developedby Defence Research and Development Organisation (DRDO) to the Chief of the Naval Staff, Admiral Sunil Lanba here today. 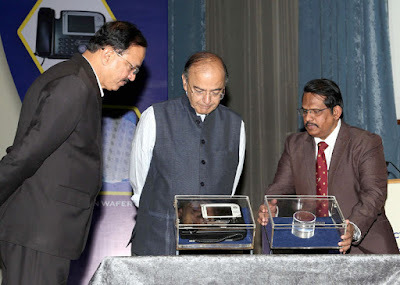 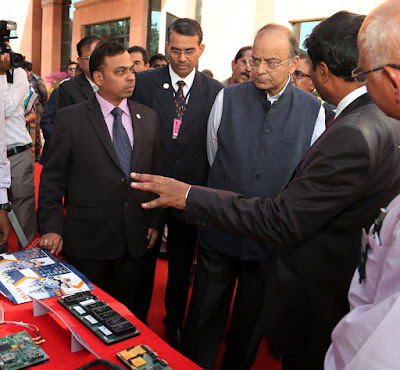 The Minister also released two other products developed by DRDO namelyIP-based Secure Phone and the Gallium Nitride Technology. Speaking on the occasion Shri Jaitley remarked that DRDO is becoming an important instrument for self-reliance of the nation. He stated that some of the best innovations have come from the pool of scientists of DRDO. 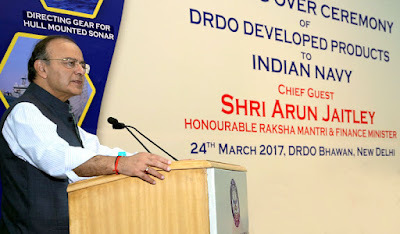 The Defence Minister also said that great societies and nations are made through people working on important tasks in anonymity, like the DRDO scientists who were honoured today. Shri Jaitley also said that in the modern world, societies that invent and innovate will make faster progress. The Inertial Navigation System, based on indigenous Ring Laser Gyroscopes, provides vital information on the ship's position coordinates and heading for steering it to its destination accurately. 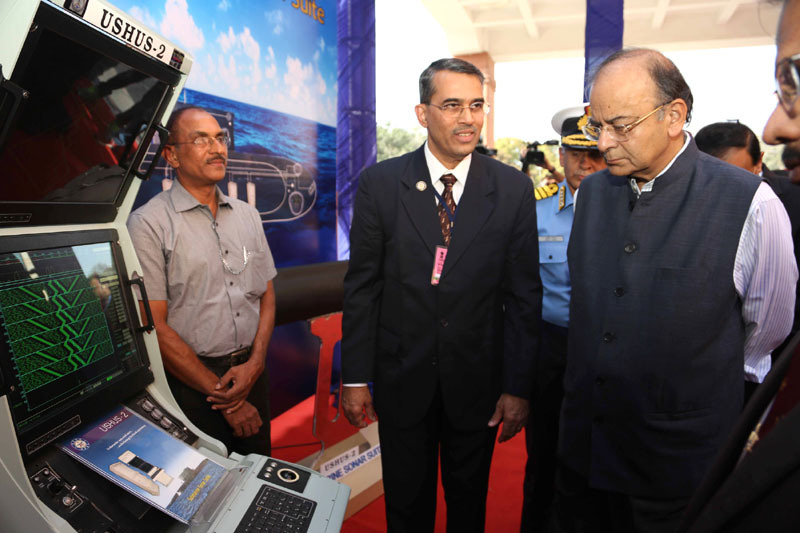 It features high speed processor, multi-constellation Sat Nav receiver, ship specific interfaces and innovative algorithms.